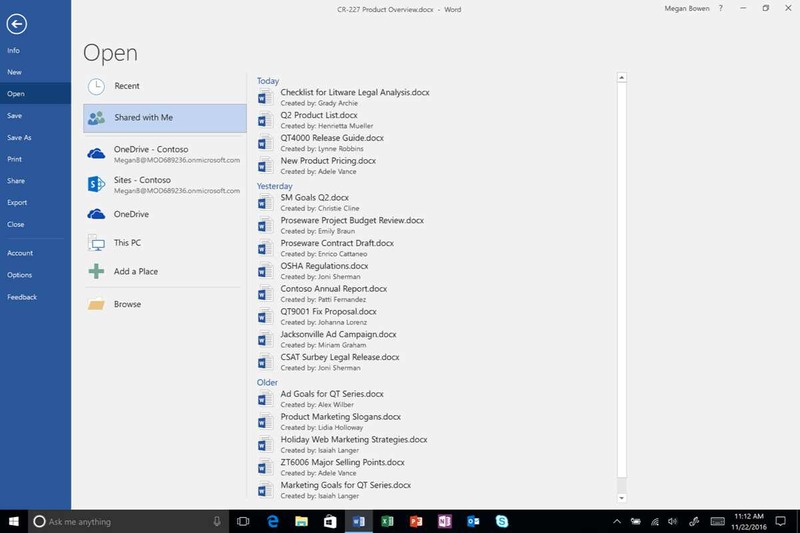 Microsoft has announced several updates to the Office apps. This includes real-time co-authoring in PowerPoint, the ability to upload attachments to the cloud directly from Outlook and other collaboration capabilities. Outlook already lets you attach cloud-based documents to an email, helping you better collaborate with others using a single version of the file. Now you can easily transform a traditional attachment into a shared cloud document right within Outlook. Upload a file to your own OneDrive or a shared OneDrive as part of an Office 365 Group. Then specify sharing permissions for the email recipients. Get started with cloud attachments in a few easy steps. Office 365 November update has added a real-time co-authoring in PowerPoint on Windows desktops, allowing you to see what others are typing as it happens on a given slide. Office 365 November update is also launching notifications in Word, Excel and PowerPoint on mobile devices to alert you to activity with your shared cloud documents. Notifications let you know when changes are being made while you are away from a document, so you can stay connected and know when you need to act. Together with the integrated activity feed already available on Windows desktops, you can collaborate more confidently. Commercial customers and consumers receive notifications when documents are shared with others. Consumers are additionally notified when documents are edited. We’ll continue enhancing notifications to provide more detail and transparency around activity in shared documents in the future. Office 365 November update added a Shared with Me tab in Word, Excel and PowerPoint. Just like in OneDrive, this view makes it easy to find and open documents that others have shared with you without leaving the app you’re working in. Office team also added a Recent Folders list in the Recent tab, making it easier to navigate to the right place to find or save your files as desired.